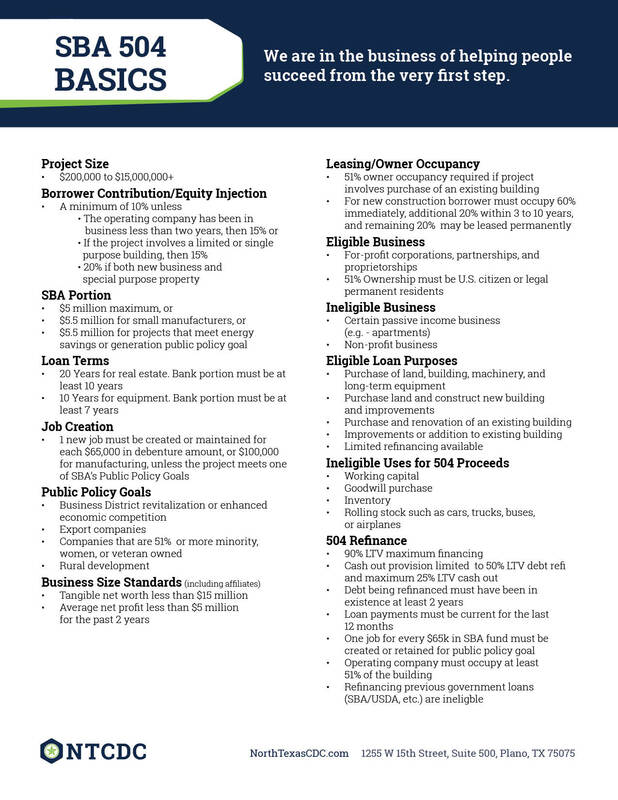 North Texas CDC is a licensed administrator of the SBA 504 Loan Program. Although we are not a direct 7(a) lender, we are qualified 7(a) loan consultants. This product is offered to you through a bank or other financial lender. 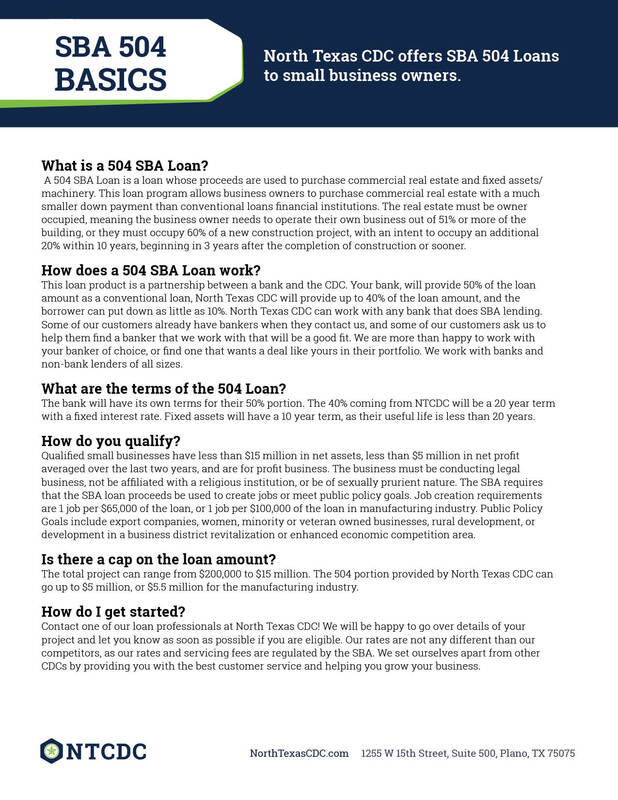 The SBA 504 is a partnership between a lending institution and a CDC. In some cases, a 504 and a 7(A) can be paired together. Your loan officer will assist you in determining which loan structure will work best for your business. See below for descriptions of both programs.